11 School Shootings This Year? It’s Past Time to Arm Teachers! By: Bill Tallen Executive Vice President – Tactical Operations – Distributed Security, Inc. The BBC ran a story recently on school shootings and the debate over arming school staff to defend against same (http://www.bbc.com/news/world-us-canada-42804741). I was present as an observer (along with the BBC reporter) at the FASTER training in Colorado in June 2017, supported the passage of legislation a year ago in Wyoming that allows armed school staff at school board discretion, assisted in the formulation of non-regulatory guidance on the topic for the Wyoming Department of Education, now support implementation of this law in my own northwest Wyoming school district, and am an officer and founding partner in Distributed Security, Inc. (www.distributedsecurity.com), which offers training in this and related areas. So I think I’ll weigh in. Let’s not quibble over statistics any more than necessary, as it is about as thankless and unrewarding as wrestling a pig. 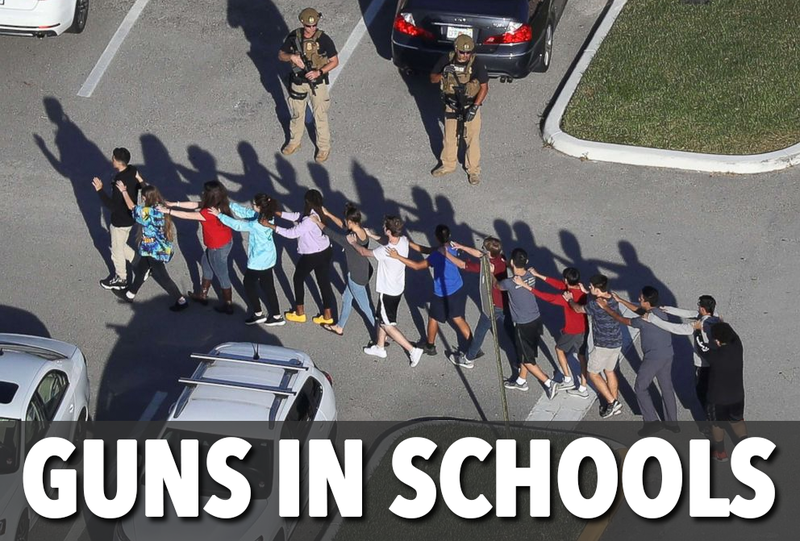 Regardless of when you start counting, or what you count, it’s inarguable that school shootings, while not commonplace given the sheer number of schools in America, are certainly frequent enough to capture the attention of the media – and of parents and communities who understand that our children are our most precious assets. School shootings are a classic example of a “low probability, high consequence” risk. Events of such monstrously unacceptable consequence deserve our attention and resources, even if as individuals we think the dice in our particular neighborhood are very unlikely to come up snake-eyes. The legal context is this. Federal law – the Gun Free School Zones Act of 1995 – makes it illegal to possess a firearm on school property anywhere in America, unless an individual falls under one of several specific exclusions, the most self-evident being the ones for commissioned law enforcement or contracted security guards. But there is also an exclusion for anyone “licensed by the state” to possess a firearm in the schools. That license has been interpreted by the courts to include a state concealed carry permit, but only if the state law regarding permits explicitly authorizes permittees to carry in schools. The States differ widely. A few, such as Utah, simply do not list schools as areas off-limits for concealed carry. This qualifies as an “inconvenient truth” for those opposing firearms in schools, because there hasn’t been a shooting, accidental or otherwise, in a Utah school in the 18 years this law has been in effect. Half of the States allow permitted concealed carry in schools under varying conditions. At last count (and here is an important quibble, BBC), fifteen States allow concealed carry by permittees with the permission of the school board or administration; another ten allow carry by staff as well as non-staff concealed carry permittees under a variety of conditions, most of which involve some form of local approval. As the BBC reports, six more states are currently considering bills which allow the arming of school staff. We often hear, “If the threat is that bad, we should have police officers in the schools.” But to use my district as an example, we have one commissioned School Resource Officer, and seven schools. To hire more would cost $43-45,000 a year in burdened salary for each, or over a quarter million a year to put just one in each of the six unprotected schools. The initial cost of processing and training school staff who volunteer to carry their own weapons concealed would be $2-3,000 each, plus perhaps 20% of that each year for annual refresher training. The first year’s salary of one uniformed officer would pay the initial cost of 14-20 concealed carry staff members; and in many states, non-profit fundraising organizations provide scholarships to pay for armed school staff’s training. The cost advantages are obvious. This background allows us to reply to the BBC’s title question, “Is it time to arm teachers?” by pointing out that between one-third and one-half of the States in this union have already decided that yes, it is, and authorized their school boards to proceed. The next part of the BBC’s reportage that I’ll comment on is the uncritical presentation of certain opposition viewpoints. We are told that an NEA survey in 2013 reported 68% of teachers opposed to having armed non-law enforcement people in school. What is not pointed out is: (1) the NEA as an organization is opposed and campaigns against arming school staff; (2) the NEA is a teachers’ union with a well-documented leftwing slant on most social issues; (3) their survey was only sent to 800 of their own members, so what we do know is that 544 union members agree with their union on the topic. Pardon me if I am unimpressed. A survey undertaken in Powell, Wyoming this month gave results very nearly opposite the NEA’s – 64% of staff, not to mention 75% of parents, felt that armed staff would make schools safer – and I suspect that is closer to the sentiment of much of America, educators and non-educators alike. If it isn’t so everywhere, well, that’s the beauty of living in a republic – you can, within personal constraints, choose your community. Everywhere this battle is joined, one of the more common refrains of the opposition to armed school staff is that “teachers” can’t be trained in X hours, with X being whatever training they’re taking or required to take. First of all, “teachers” is a misleading, as usually all school staff, not just teachers, are eligible, and arguably administrators, counsellors, coaches, custodians, etc. can be better candidates as they are less likely to be tied down, responsible for a classroom full of kids, instead of free to respond toward the “sound of the gun”. Second, many of the critics have never participated in any combative handgun training whatsoever and have no idea what they are talking about. 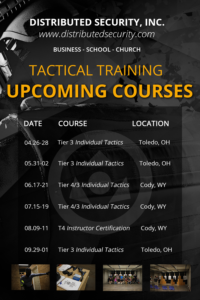 Third, modern training techniques allow a 24-hour course, mixing live fire training with scenario-based training using nonlethal firearms and live role players, as offered by DSI, FASTER, and other purveyors of training (and required by law in several states, and by liability insurance providers in others) to impart the necessary skills and mindset. I’ve heard these assertions of “not enough training” both from anti-gun progressives, and from retired law enforcement officers. The latter (all credit to them for their service) sometimes have not witnessed modern training techniques and default back to their dreary academy courses decades ago, where they spent 40, 60, or 80 hours in what amounted to painful, redundant, and unproductive training. I speak as a retired Federal Agent and former director of an agency academy myself; there are better ways, guys, come and see. Bill Tallen is Executive Vice President – Tactical Operations. Prior to joining the enterprise he had a 20 year career with the Department of Energy, where he served as a Federal Agent, team leader, unit commander, training instructor, and manager in the agency which provides secure transportation of nuclear weapons and nuclear materials within CONUS. He helped to found DOE’s Special Response Force program, developing and teaching urban and close quarter battle techniques to Federal Agents charged with recovery of lost assets. He has designed and conducted a variety of wargaming efforts in support of vulnerability assessments, security system design, and leadership training, and has taught a variety of crisis decision making models. Bill holds the degree of Master of Arts in National Security and Strategic Studies from the U.S. Naval War College. 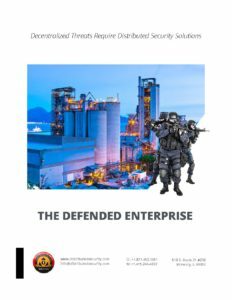 Can the Free Market Provide National Defense?